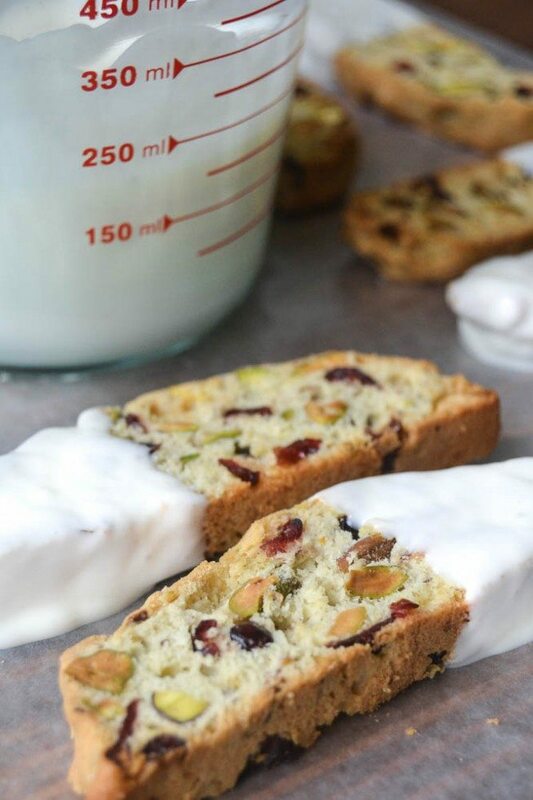 Cranberry Pistachio Biscotti ~ these crunchy twice baked cookies are a festive and easy holiday treat that anyone can make, and everybody loves! It’s been a busy baking week here at TVFGI, and next week promises to be just as crazy. I hope you’ve found something that inspired you to roll up your sleeves and get messy in the kitchen, but if not, keep reading, because even if you don’t consider yourself a baker, you can make these biscotti. The lumpy dough is twice baked — first in rustic shaped loaves, and then sliced up with a big bread knife for a second baking, which gives biscotti its distinctive texture. There are a couple of things that make these the best I’ve ever had. One, they have lots of flavor, the batter is blended with a good dose of vanilla and almond extract. And two, they aren’t rock hard like biscotti usually is. You get the crunch without the broken jaw :) If you’re looking for an adult cookie to give as gifts, this is your guy. 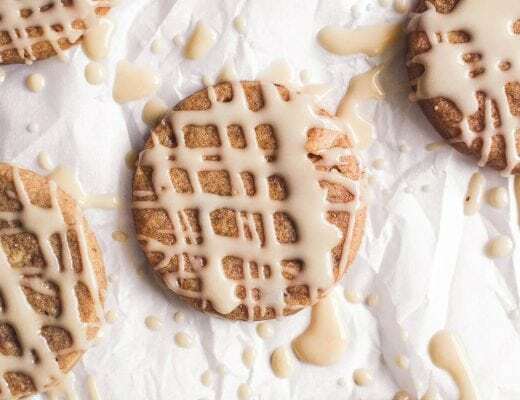 Speaking of guys, all my taste testers happened to be male this time, and the cookies got rave reviews, so don’t think of these as just for the ladies. I originally envisioned a mix of fruits and nuts for this recipe, but decided that the cranberry pistachio looked more seasonal and gift-appropriate. Try to find the plumpest reddest dried cranberries and the freshest pistachios. I do think it’s worth the small trouble to shell the nuts, they’ll be brighter and better tasting. Biscotti are super sturdy and they keep really well, so they’ll make your last minute gift giving much easier. You can give them along with a coffee shop gift card, wrap them and pop them in a beautiful mug, or just gather them in a cellophane bag and bow ‘n go. During the first part of this recipe you may think you’ve done something wrong because the half baked loaf is pretty ugly. It looks lumpy and under done. But once you slice it up it starts to look better. When the slices come out of the oven they will be crisp and slightly golden, ready to be dipped in chocolate, or eaten plain, your choice. The white bark coating is easier to melt than regular white chocolate, but you can use any kind of white chocolate you like, just use caution not to overheat it, or it will seize up on you. Microwave in a clean, dry bowl and only for short spurts, stirring in between to let the heat of the bowl do the work. See my detailed instructions for melting chocolate HERE. 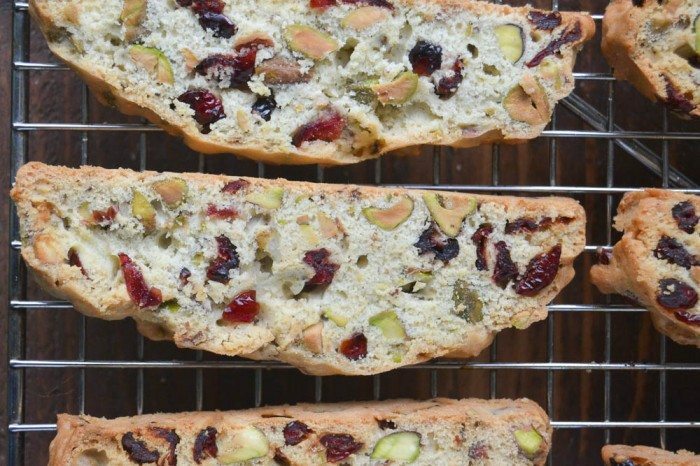 Don’t forget to pin this easy Cranberry Pistachio Biscotti! Followed your recipe exactly. Didn’t turn out too great. Was WAY too sticky and had to add a bunch of flour to roll and shape it. Only yielded one log 8×4. Personally I think the egg whites made the dough too runny. Will search for biscotti recipe I used last year. Does anyone know if these can be altered to be gluten free? Has anybody tried it? And if so, other than gluten free flour, how would the ingredients be changed. They look delicious. I make them gluten free every year. 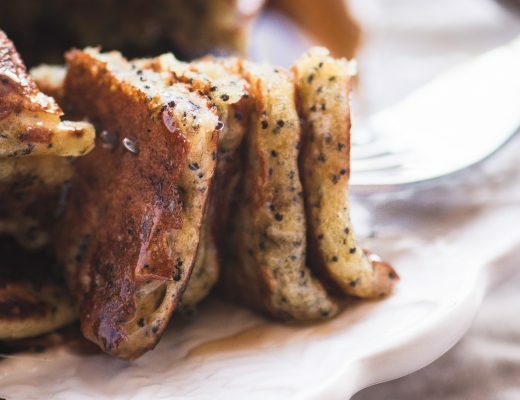 This is a great Recipe, try King Arthur cup for cup gluten free flour instead of regular flour. Also to change it up you can try orange and almonds in this recipe. 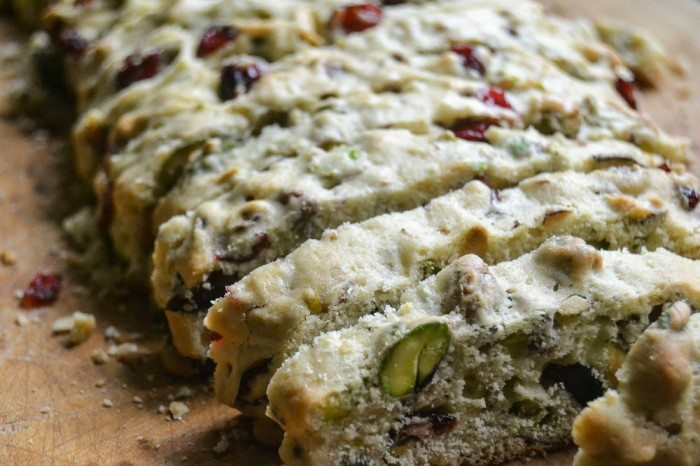 Have you ate the bread without making it into biscotti? I am looking for a really good bread recipe? Thanks so much. Please email me if you don’t mind. I love your recipe! Can I make and freeze the dough? I’m guessing here, but I think at least a couple of weeks if they’re packaged well. cranberry and pistachio are so nice together. they look great! 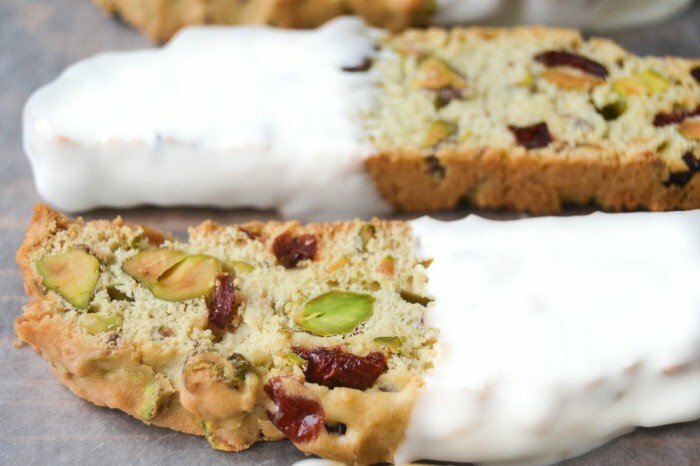 I saw a version of this biscotti on Food Network,where the cheif sprinkled red/green sugar crystals onto the white chocolate after dipping them. So festive! Many thanks for another wonderful recipe. So, so pretty! There is just something about biscotti in December. It just says Christmas to me and these especially! Love it! 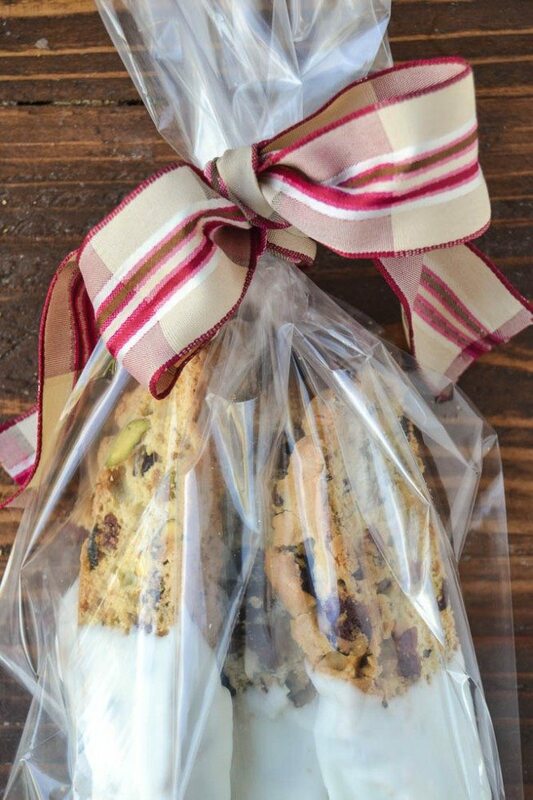 What beautiful biscotti and perfect for gifts! Love the combination of cranberries and pistachios. Classic. Oh these really are a must for Christmas. 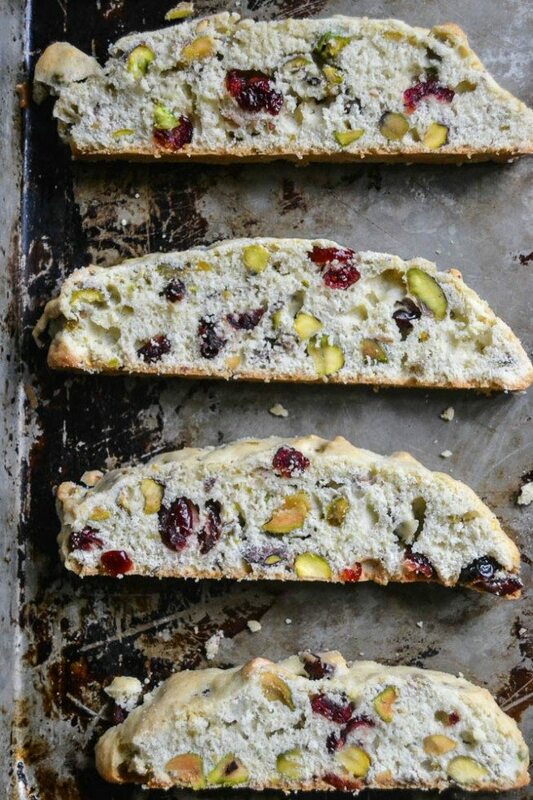 They look so festive – you were right to just use cranberries and pistachio. Perfect for gift giving and to have in the cupboard to treat myself! 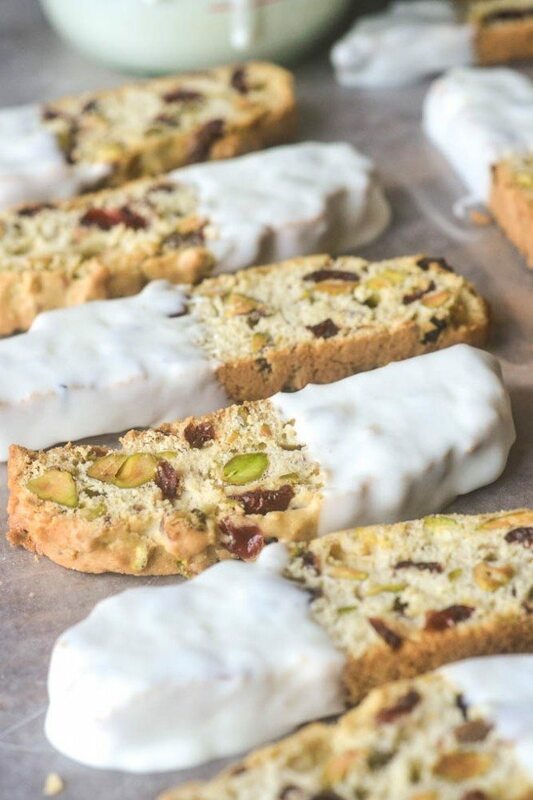 You know I love that cranberry-pistachio combo, these biscotti are perfect for gifting! You did an outstanding job to make these look festive and full of holiday cheer. I would be really glad to get these as a gift. Do you want my address? Ha! What a pretty Christmas-colored treat! And, all that butter. Yum. I love biscottis ..these look fantastic. This looks so delicious and wholesome! Thank you so much for sharing. Yea! 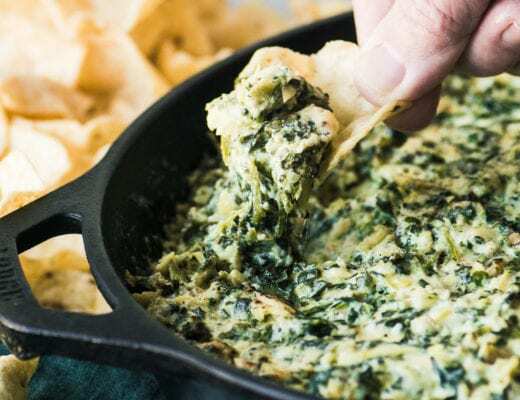 Time to make these for holiday wine ‘n cheese party! This are so festive Sue, love the colors, these would make great gifts, though I would have a hard time not eating them all myself. Yum! Thanks so much for the recipe. A great one for neighbor gifts with a bag of really good coffee beans.